When Rob Whitehurst purchased his property in South Gippsland region of the state of Victoria in southern Australia, he hoped it would serve as a tranquil holiday spot. With the aim of eventually making it a home for his retirement, there were a lot of challenges Rob had to overcome first. Located in the hills of Foster, in the heart of Prom Country, the property was prone to landslides due to high rainfall and steep slopes. This meant that reforestation and ecological restoration was needed in order to turn it into the peaceful bush retreat Rob had in mind. In 2012, the Australia-based carbon offset firm Greenfleet partnered with Rob to revegetate his property (now known as “Whitehurst”). Their three goals were 1) restore habitat for native wildlife, 2) prevent further landslides, and 3) help restore our climate via carbon sequestration. They planted 20,000 seedlings to cover a 15.8 hectares (40 acres) area, choosing species endemic to the area, such as Blackwood (Acacia melanoxyln), Silver Wattle (Acacia dealbata) and Southern Blue Gum (Eucalyptus globulus). Due to deer and rabbits–both of which are human-introduced invasive species—damage was incurred after the initial planting. As a result, Greenfleet returned to plant a further 955 seedlings on the site in 2015. After the initial challenges in getting the site established, today the property is has a rich wildlife population. Swamp wallabies, echidnas and wombats are now all common within the planted area. 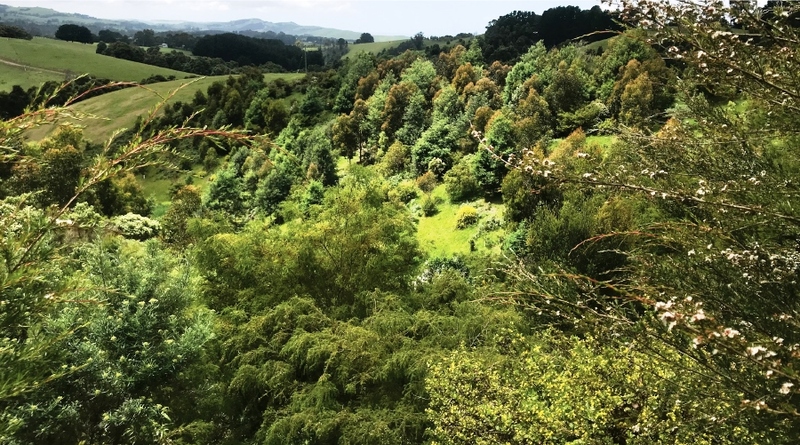 It is hoped that, as the forest continues to grow, it will also provide ideal habitat for the native bird life that is already present in the surrounding areas. This site is the perfect example of how Greenfleet’s work can have far-reaching benefits. 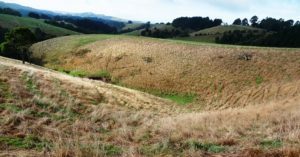 From increasing habitat for wildlife, helping Rob create the property he was hoping for, to taking practical climate action to protect our climate. Featured photo shows Whitehurst in 2018. All photos courtesy of Greenfleet. Learn more about Greenfleet’s carbon offset services.